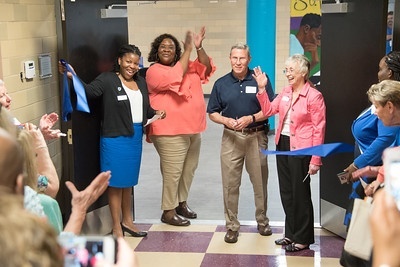 Board Chair Tiffany Charles, Vice Chair Reverend Sonya Vann, and CEO Carla Monroe-Posey watch Jerry Sinquefield cut the ribbon to the new Youth Development Center. St. Vincent Home for Children has expanded its services with the opening of the new Sister Mary Ann Eultgen (MAE) Youth Development Center. 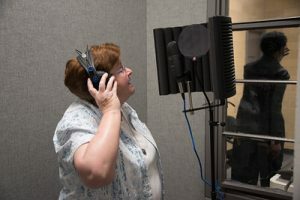 The new Center is named for the late Sister Mary Ann Eultgen, a member of the Sisters of Christian Charity who served on St. Vincent’s Board of Directors from the early 2000’s until shortly before her death in December 2017. 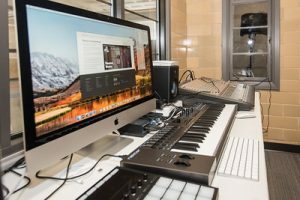 The “MAE” Center includes a teaching kitchen, classroom, game room, exercise room, a multipurpose room, and a sound studio. The Center will allow St. Vincent to provide the only life skills and recreation program linked to formal residential and mental health and substance abuse treatment in North St. Louis County. 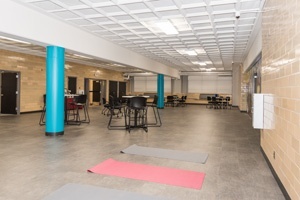 With the generous support of Mr. Rex and Dr. Jeanne Sinquefield, the 5,200-square foot space was renovated over a five-month period and cost more than $387,000. The project was also partially underwritten by the Missouri Department of Economic Development and the Neighborhood Assistance Program. 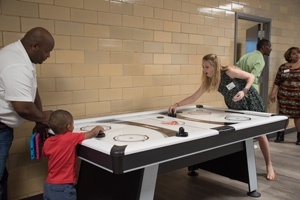 The Multipurpose Room will be used for collaborative and therapeutic activities that include non-competitive and therapeutic games that promote discussion and discovery, helping to build communication and social skills. 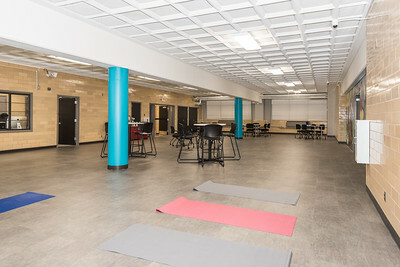 The Multipurpose Room will also be used for classes in yoga, STEP, and dance, helping youth reconnect with their bodies and develop coping skills. 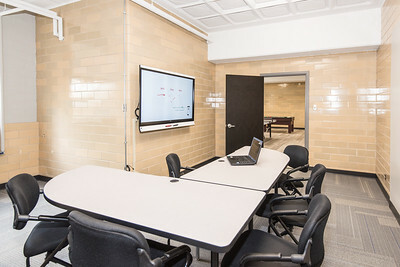 The Classroom is equipped with a Smartboard and Chromebooks and will be used to teach classes in basic computer programming, coding, and animation. Classes are taught by local programmers helping St. Vincent youth gain computer skills such as C++, Java, and HTML. The Classroom will also be used for homework and reading. Physical activity is an important aspect of St. Vincent’s therapeutic programs. 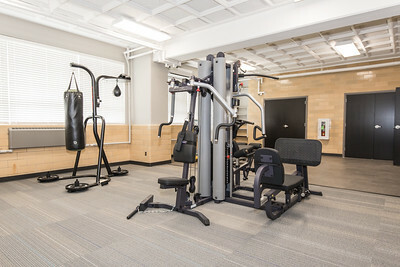 The Exercise Room is equipped with treadmills, stationary bikes, weight machines, and a punching bag to provide a total body workout. 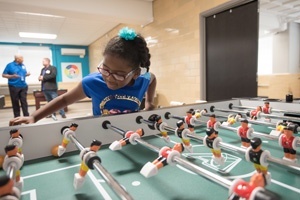 The Exercise Room is a wonderful addition to our gymnasium and athletic fields, helping youth develop their physical, social, emotional, and cognitive abilities. The Teaching Kitchen will be used to teach basic cooking skills and nutrition with an emphasis on maintaining physical and emotional health. 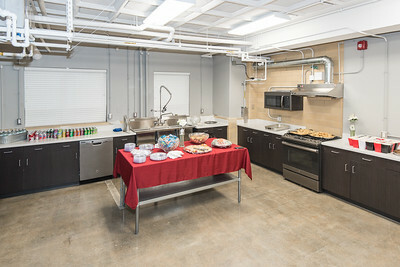 Like the Classroom, the Kitchen will also provide transferable job skills including earning ServeSafe® food and beverage handling certification that will increase each youth’s marketability to potential food and hospitality employers. 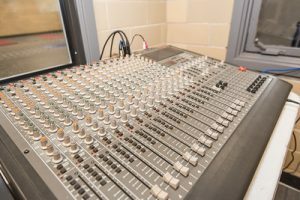 St. Vincent created a Sound Studio in the MAE Center to provide youth the opportunity to gain skills and experience creating, mixing, and mastering their own recorded material. 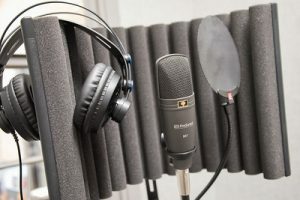 St. Vincent youth will work with local industry professionals to create lyrics and music on issues that matter to them. Teamwork and sportsmanship are essential skills learned in the Game Room. Through game-based activities, youth build essential verbal and physical communication skills that can be applied as they transition into adulthood.